GO, SPEEDRACER! GO! A Bryn Athyn Church School Fundraiser. 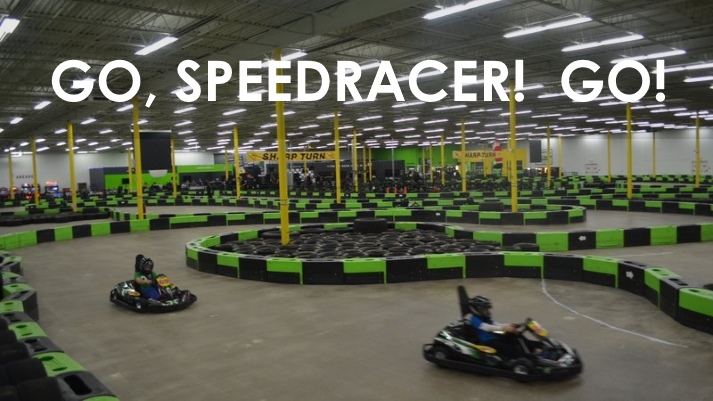 Join us for a fun, adult only, 21+ evening of go-kart racing. Friday, November 2, 2018, 7pm-10ish. Tickets purchased online before 11/1 are $35 or $40 at the door, includes one go-kart race and taco bar, catered by Provecho! Additional races can be purchased for $10 the night of the event. All proceeds from ticket and raffle sales to benefit the Bryn Athyn Church School. BYO wine and beer, but no hard alcohol, please. To purchase tickets visit: Go, Speedracer! Go! Tickets.